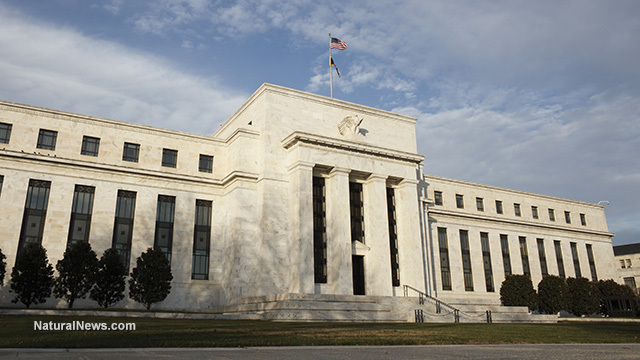 Obfuscation and doublespeak are primary components of central bank magic.The magic is largely semantic: if the Federal Reserve claims it can restore the economy and the stock market with reverse repos and other financial legerdemain, the corporate media is always ready to repeat this dubious claim until it is accepted as self-evident. The central bank magic is fundamentally a mind-trick of managing expectations. If the Fed (or other central bank) announces a quantitative easing or market-goosing program, punters buy assets anticipating the success of the bank's program, effectively creating the very push higher the bank intended. This rise draws in other traders, and the program is declared a success as the market generates a self-reinforcing logic: the market's response is evidence the central bank's program is a success, which then inspires more risk-on buying and further market gains. Once a central bank program fails to generate a self-reinforcing rally, the mind-trick's power is broken. Once expectations of a sustained rally are crushed by the failure of the rally to achieve virtuous-cycle lift-off, the magic no longer works: once traders take a wait and see stance rather than rush to place panic-buy orders, the initial rally soon fizzles, and the expectations of effortless gain are replaced by gnawing fear of more losses. Once expectations revert to caution, the central banks lose their power to move markets with pronouncements. Unfortunately for believers in the omnipotence of central banks, monetary legerdemain has little power over the real economy. Once the power to manage expectations has been lost, the central bank bag of tricks is empty.